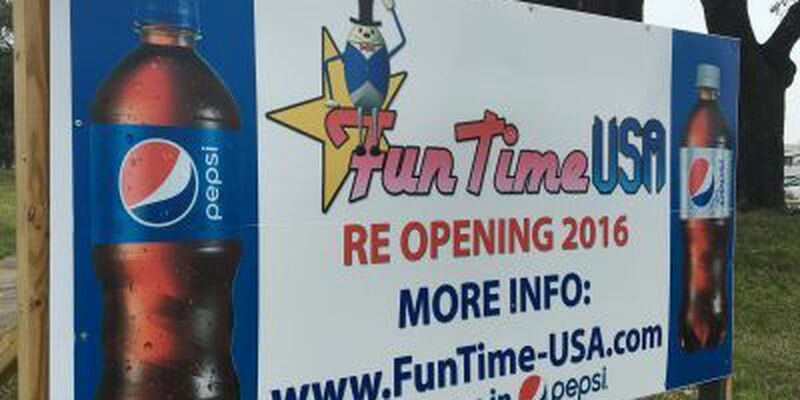 GULFPORT, MS (WLOX) - The fate of FunTime USA's return to the Coast may rest in the hands of the Gulfport City Council. The park was located on the west side of Cowan Rd. before Hurricane Katrina destroyed it. Developers now want to build a new FunTime right across from the old site. However, property owners need a zoning change before the project can move forward, and some nearby residents aren't on board with the change. "I bought it because of this nice, quaint neighborhood. Quiet to raise a family in," said Mike Marshall of his home. Marshall is worried a proposed amusement park would disrupt his peaceful neighborhood. He lives on Georgia Place, behind the property where FunTime USA wants to build. "The noise and the hours, the operating hours, and there are plenty of other locations between Cowan Rd. and the Gulfport VA that a business like this could locate," Marshall said. Developers planned on breaking ground on the project in January, but had to wait for property owners to clear up a zoning question. Most of the 4 acre property is zoned for large commercial use, but one section is zoned for smaller businesses. The city planning commission has approved the zoning change twice. "You shouldn't split zone a parcel, and they split zoned it. They've admitted it was a mistake and we're just trying to get it all zoned the same," said real estate broker David Comstock. Developers say they have designed ways to cut down on the noise, such as putting the go-cart track on Highway 90. "It's going to be fenced in; one way in, one way out. We're going to have shrubbery which reduces noise. We're going to have noise buffers. We just want to build a beautiful park, be good neighbors," said FunTime USA Co-Owner Romy Simpson. Marshall says he supports business growth and bringing back family entertainment, but believes the property is the wrong place for an amusement park. He plans to urge Gulfport leaders to reject the zoning request when it goes before the city council on Tuesday. "I don't think it's a mistake. It was done by design when the Smart Code was put into place. That was done to ensure the protection of the surrounding neighborhoods," said Marshall. "I think if they were to look and consider, 'Would I want this in my backyard', then I think they'll make the right decision." Developers of FunTime, who are aiming for a June opening, say they will also be at the council meeting handing out 100 t-shirts to supporters of the project. "We want to see Gulfport come back, and if we don't allow things like this to happen, I just don't understand," said Simpson.